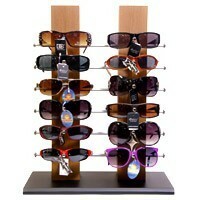 Floor Model Sunglass Display. Holds 60 Pair. 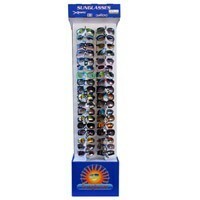 Floor Model Sunglass Display. Holds 72 Pair. 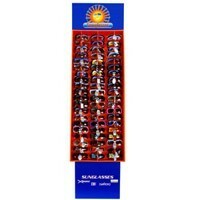 Counter Top Sunglass Display Holds 32 pair. 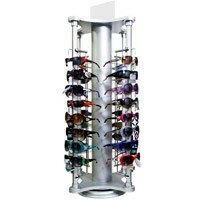 Locking Racks. 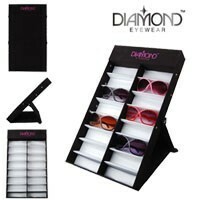 Diamond Eyewear Brand Folding sunglass display holds 16 pair. 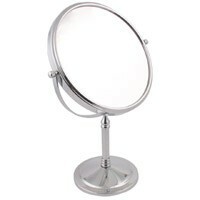 Great for people on the move who need easy setup and tear down. 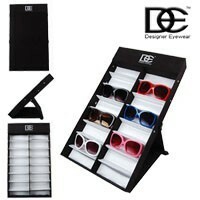 Measurements closed: Length 22" Width 12.75" Height 2"
DE Designer Eyewear Brand Folding sunglass display holds 16 pair. 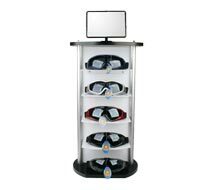 Great for people on the move who need easy setup and tear down. 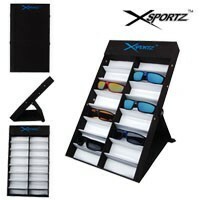 Xsportz Brand Folding sunglass display holds 16 pair. Great for people on the move who need easy setup and tear down.